Because we were unable to complete the discussion and vote on the final motion concerning the Computing and Information Sciences from the Committee on Academic Programs and Policies, I’m calling a continuation of the meeting for next Wednesday afternoon at the usual time. This will complete the previous agenda and only this item will be discussed. As a reminder, no amendments may be made from the floor. ONLY proposed amendments submitted to this Office by 3:30 p.m. on Tuesday, October 19 may be considered. The President, Provost, and Deans of Engineering and Arts and Sciences are urged to rethink carefully the management of the Computer Science Department, taking into account the intellectual reach of this department and its roles in the College of Engineering and assessing whether radical change is justified by the reasons offered thus far. The hasty re-organization of, and unique role that has been assigned to, the Department of Computer Science has already unbalanced and distorted the debate over these issues, placing some of the wrong issues at the center. Because the Department of Computer Science is only one of many participants in the pursuit of these objectives, because we hold that the many participants/stakeholders should be equal partners, and because it is important to preserve the integrity of the CS department in its core competencies and relationships to other departments, we recommend that the President, Provost, and Deans of Engineering and Arts and Sciences rethink carefully the management of CS with a view to embedding it in some proportion in these two colleges. Any such embedding should be aware of the actual intellectual reach of CS and the serious impact of its relocation on the College of Engineering (e.g., see the response of 14 September from the School of Electrical Engineering and that of 4 October from the College of Engineering Policy Committee) and then strive to respect the breadth of interests appropriate to CS and the balance of its contributions in education and research to Engineering and Arts and Sciences. Data provided by the Task Force, by email of 22 September, notes that, “Overall, the majority of these CS departments are organizationally part of Engineering colleges, but at the same time, the majority have programs of teaching and research that fall in Arts & Science.” In particular, the Task Force data notes that MIT and UC Berkeley having joint EE/CS departments and Stanford and Caltech have CS in an Engineering College, although Carnegie Mellon University and Georgia Tech have separate CS colleges. 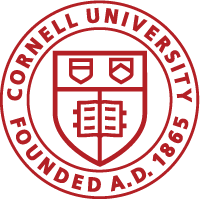 Thus the administration of Cornell’s CS department up to this summer was consistent with the practice at outstanding universities.